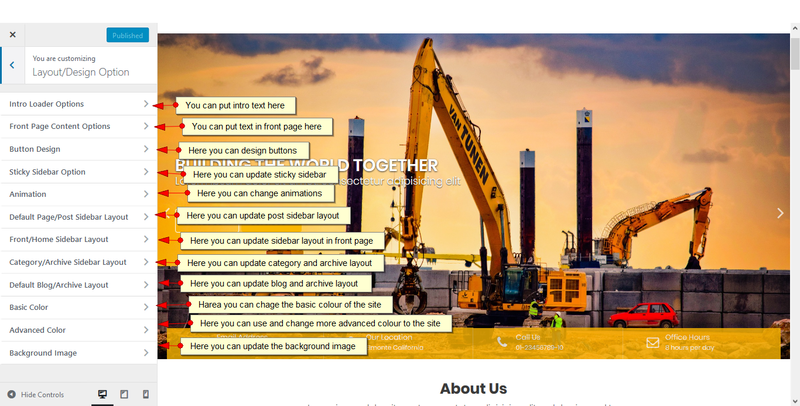 Construction Field Pro Fully Responsive Multi-purpose Construction Field WordPress Theme suitable for any Construction Field sites such as for Real Estate. Extract construction-field-pro.zip and upload the folder. 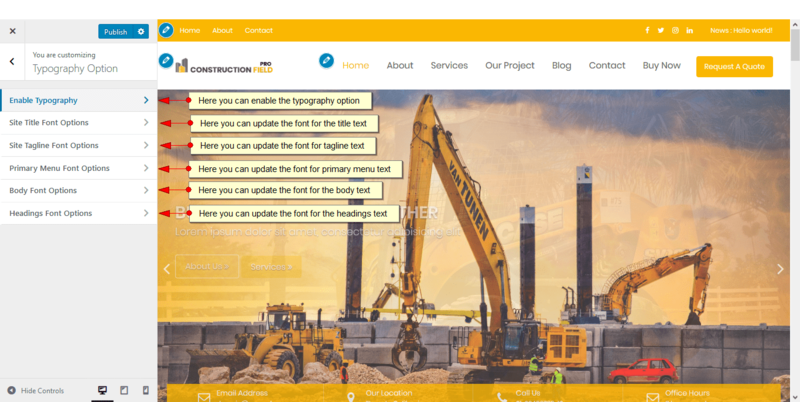 One click demo import is available on Construction Field Pro. 5. 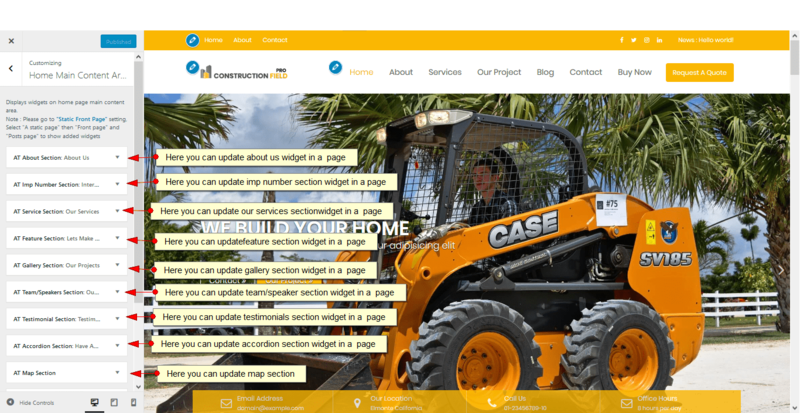 Adding Home/Front Page Other Sections like About Section, Count Down Section, Gallery Section, Schedule Section, Speakers Sections, FAQ Section, Testimonials Sections , Blog and News Sections, Contact Sections. You can choose different kinds of options for menu here. You can add beautiful Feature Slider with Feature Info in the Front Page. Feature slider also includes the ability to add Count Down Timer. It has the following options. You can update the sticky sidebar here. This options helps to select featured image size, Read More text and overall blog/archive/search layout. This version have 5 different color options. Check the available color options and select the required color for you. This option lets you add more advanced color in your site. 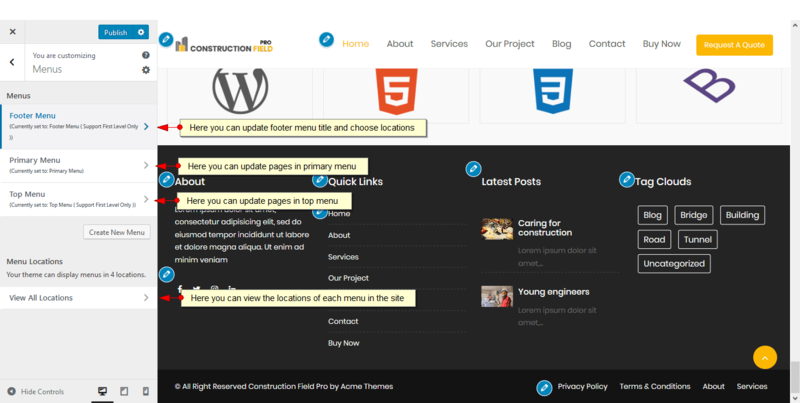 You can update title and locations for footer. 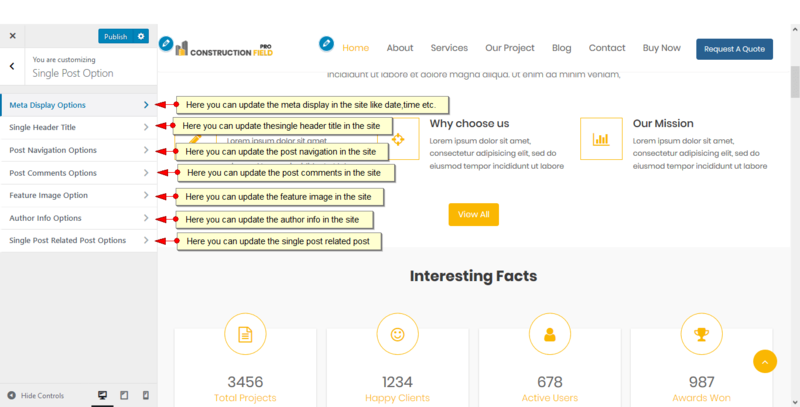 Additional CSS lets you to update the outlook of the site by adding more css to the theme.